To say our dedicated Community Advisory Board (CAB) members are extraordinary would be an understatement. Each member dedicates their time to provide input and serve as the link between the community-at-large and KLRN. In the upcoming weeks, we will introduce you to our KLRN CAB members to get a further understanding of what serving on the board represents and why being a supportive pillar of KLRN is fundamental for public television. 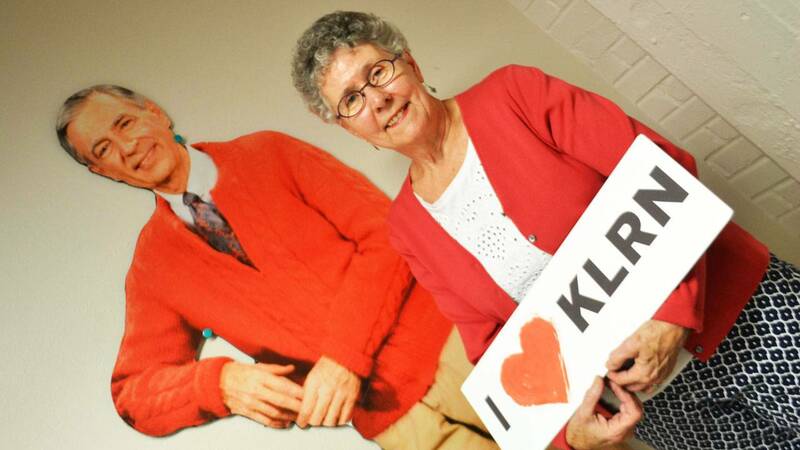 "I worked at KLRN for 19 years beginning as a part-time secretary in the Production Dept. and ending as Senior Producer. Besides San Antonio Week I produced the weekly Artbeat series and completed many documentaries, several in both Spanish and English. My most treasured experience while at KLRN was meeting Lady Bird Johnson for “Lady Bird, Naturally”. I have five children, 14 grandchildren and six great grandbabies. I am very active with the S.A. Conservation Society and have been, for 15 years, working on the David Carter Family archives." What is your favorite show on KLRN? It's hard to choose just one. How do I love KLRN? Let me count the ways….American Experience, Masterpiece Theater, Texas Week, The Newshour, Washington Week, Charlie Rose, Cooking Shows on Saturday, Nova, Brit Coms, Arts, SciTechNow, Overheard with Evan Smith and any local specials. Why have you decided to serve on the Community Advisory Board? I decided to serve on the CAB because I have a lifetime investment in PBS and KLRN locally. It’s always been a safe haven with quality, enlightening and stimulating programming! Do you have a first KLRN/PBS memory? My first memory of KLRN was in the late 1960s when I discovered Sesame Street and the Electric Company and then Bill Nye the Science Guy for my kids! If you could have dinner with any PBS personality, who would it be? I would love to have dinner with Bill Moyers, Charlie Rose or Rick Casey! Bill Moyers was my hero not only because of the quality of programming he produced over many decades - but a personal hero because he donated his services to narrate and introduce the documentary I produced “Lady Bird, Naturally”…he said it was his gift to Lady Bird. Charlie Rose’s nightly discussion has been a “must” for me for years because it is so varied, stimulating, fascinating and downright interesting - it is my nightly food for the brain. Rick Casey is essential to San Antonio and Texas if one wants to learn the whole story and, Rick got his start on a series I produced at KLRN “San Antonio Week in Review”. With Rick I would feel very comfortable having dinner…with Moyers and Rose I would be totally intimidated…but thrilled! !